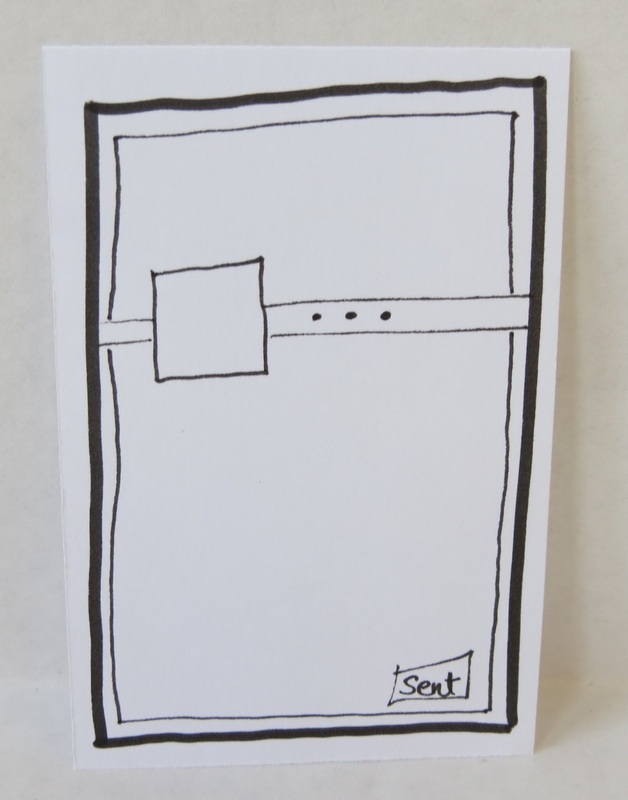 This week's sketch will let you frame a perfect little image and let the patterns you choose highlight your card. 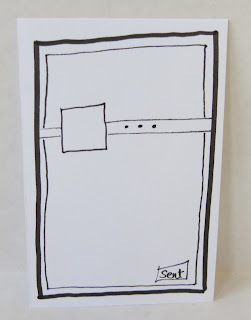 You'll need at least two patterned papers and two colors of coordinating card stock for this card. One pattern can be fairly bright and busy, but the other needs to be a little more subdued. Maybe that's the challenge of the day! Start with one color of card stock for your background, then mat the two patterns for the top and bottom panels. Make a strip of the same background color to cover the seam where the two papers meet. 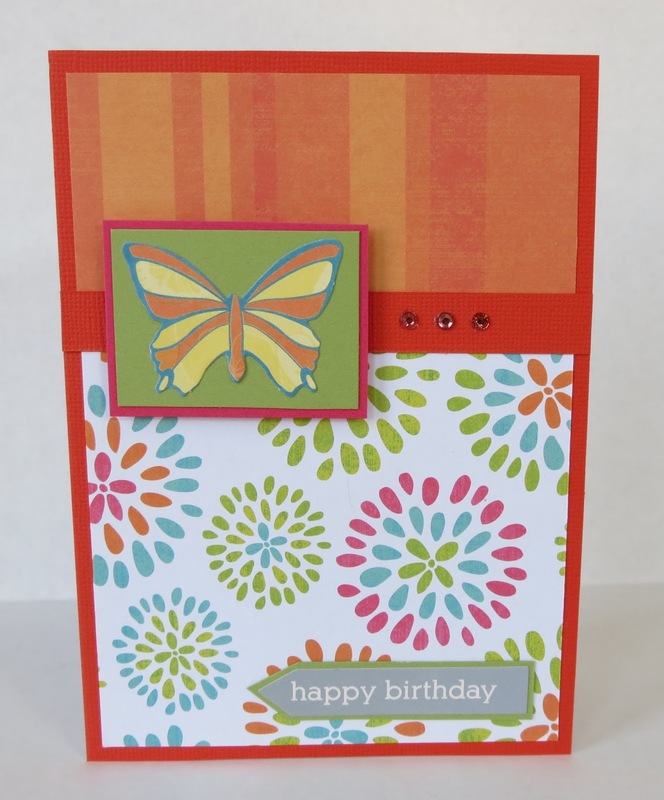 Mat your image on coordinating card stock and attach it with 3D guess dots to make it stand out a little. 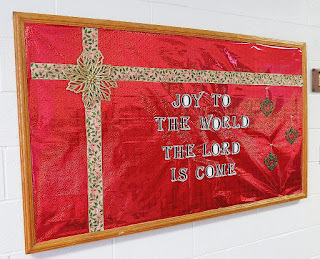 Then add three tiny embellishments to the right side of the strip and a sentiment at the bottom. For my card, I chose two patterns from a paper stack so they were already coordinated. (Yeah, I'm pretty lazy that way.) Then I pulled the orange and green out of the flower pattern to use for my card stocks. 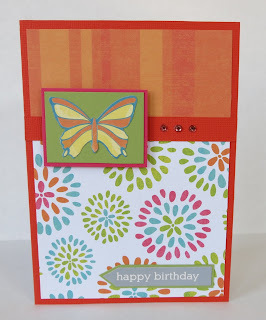 I found a butterfly die cut that had the same colors in it, and used three tiny gems in a coordinating orange color. The card stock sticker phrase is matted on the same green that is behind the butterfly. This card, along with many other paper crafts and gifts, can be found in our Etsy shop. 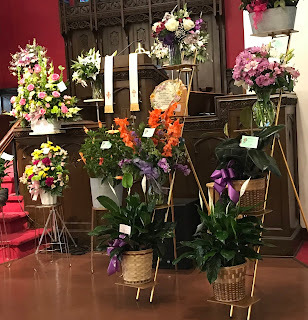 Come visit today for more great ideas and maybe a gift or two.